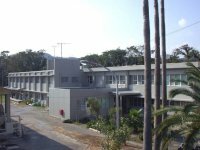 The Usa Marine Biological Station and Fisheries Laboratory were foundedin 1953 and 1968, respectively, but are now merged to a new organization and called the Usa Marine Biological Institute since 1978. 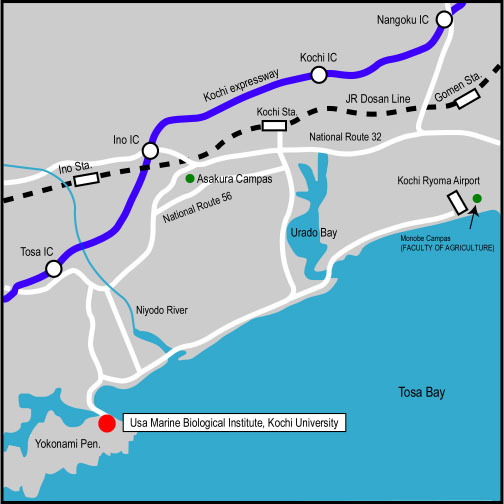 The following researches are in progress; Early life histories of marine fishes; Early inshore migration mechanism of diadromous fishes; Life histories of latid fishes in the world and primitive Heterosomata: psettodid fishes; Taxonomy and ecology of meiobenthic and phytal copepods; Seasonal changes of plankton; Algal physiology and ecology. Teaching and Research Facilities: Student laboratories and a lecture room are reserved for teaching of about 40 students. 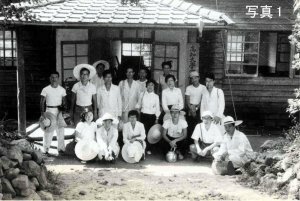 Laboratories can accommodate about ten visitors. Microscopes and other general equipments for biology and oceanography will be provided for visitors on their request. Facilities for qualified investigators are SCUBA diving equipment. Most laboratories are supplied with running sea water. 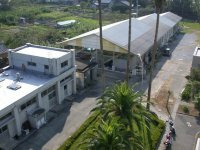 Two buildings for fish tanks include three big tanks(60m3), and 100 small tanks(under 2m3). Ten fish preserves are in the bay. Accommodations: Two bedrooms for visitors, 12 bedrooms for 64 students. Vessels: the Toyohata Maru (19t, 400HP); the Neptune・(5.4t, 350HP); three boats with outboard motors. 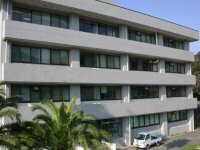 The institute is located on the south coast of Shikoku island and faces central Tosa Bay. 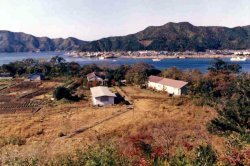 The warm Kuroshio Current affects the distribution of fauna and flora along the coast. 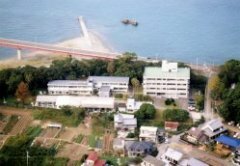 The institute is built near the fishery port of Usa at the mouth of Uranouchi inlet, which is about 12km long and leads to the open sea through a shallow mouth at Tosa Bay. 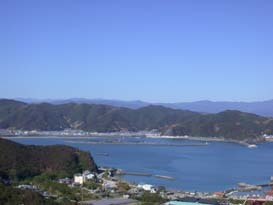 In the inlet, fish and seaweed are cultured. The open sea and the inlet have sandy, gravelly and rocky shores within their intertidal zone. 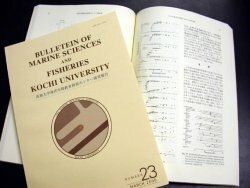 Bulletin of Marine Sciences and Fisheries, Kochi University have been issued once a year in Japanese and English. Applications for use of the institute must be submitted to the director in advance before your visit. From Kochi city, the way to reach the institute is to take Kochiken Kotsu Bus from Sakaimachi to Sukairain Iriguchi, about one hours bus ride. 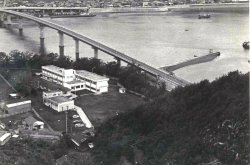 From there, visitors are requested to cross the Usa Bridge, about 10 minutes walk. 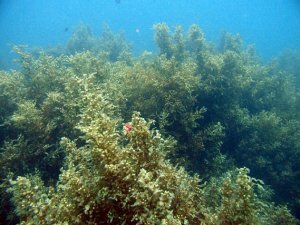 Copyright © 2005-2009, Usa Marine Biological Institute, Kochi University All Rights Reserved.